Drayson Racing Technologies and Lola Group today unveil the much-anticipated electric-powered Le Mans prototype racing car, the Lola-Drayson B12/69EV, at the 2012 Low Carbon Racing Conference at the NEC. “Electric racing represents a considerable new business opportunity for motorsport and underlines the growing commercial potential of green racing and technology. Electric-powered racing is really taking off with the launch of the new FIA Formula E world championship for electric racing cars planned for 2013 and we are thrilled to be at the forefront of the push for innovation at such an exciting time for the sport and industry. 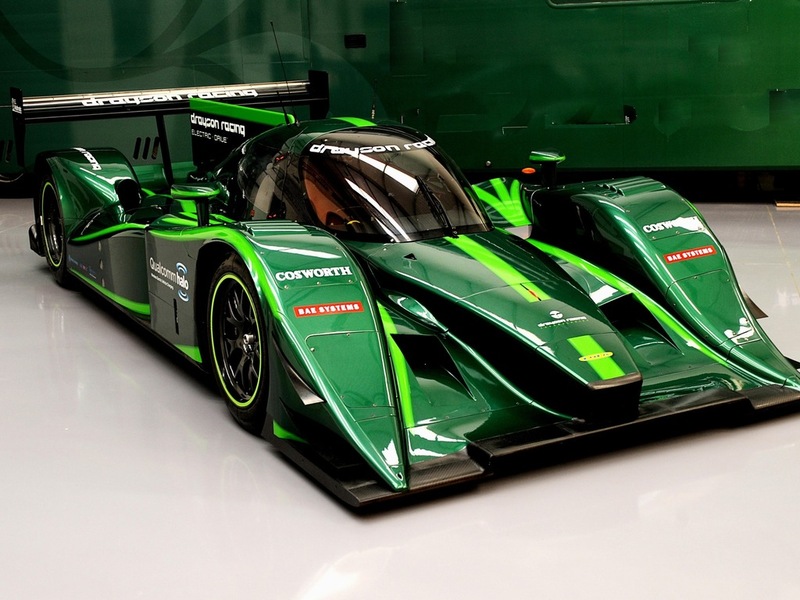 “This prototype combines revolutionary innovation alongside the development of new green technologies that can be applied across other parts of the motorsport and other sectors. The UK is one of the best places in the world to develop a low carbon business, or indeed, any kind of business. The speed, with which this project has progressed, from initial discussions to unveiling of this vehicle in a matter of months, clearly demonstrates the strengths of the British motorsport sector. The 700V A123 pack has a capacity of around 60 kWh. The battery pack powers four axial flux Oxford YASA motors via inverters supplied by Rinehart. 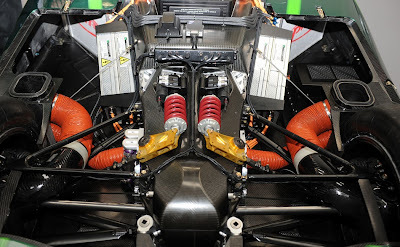 The motors, up to 850 peak horsepower (634 kW) powering the rear wheels, are mounted in a similar longitudinal location to where the ICE powerplant would normally be located. There is a single speed reduction gearbox/differential linking the drive from the electric motors to the driveshafts. 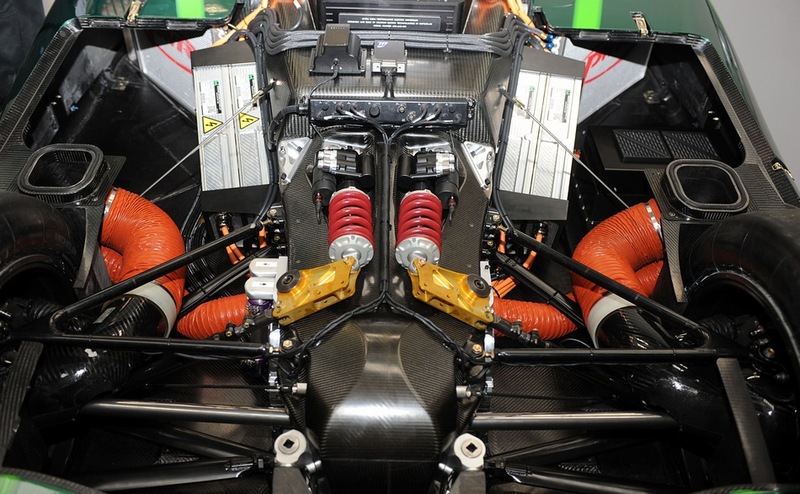 The weight of the car will be approximately 1000 kg, slightly in excess of the regular 900 kg in LMP1 presently. The overall control system for the car will be supplied by Drayson Racing Technologies working in partnership with Cosworth who supplied the original system for the 2010 LMP1 car.